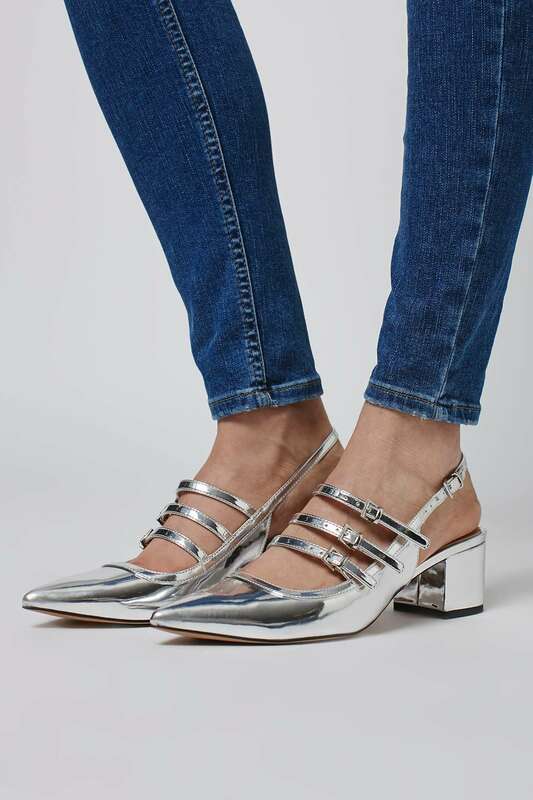 …in fact, if you love metallics (which I do) you will be in heaven right now given just how much shiny stuff is out there in the shops right now. For me, my love of all things shiny, gold in particular, has come with age. If you were to ask my mum about this, she’d tell you that I’m lying and that I *hate* gold: which was true of me as a very young child… but you know how mums like to hold onto those types of things and refuse to accept that your tastes may have evolved; i.e. that you may have grown up?!! 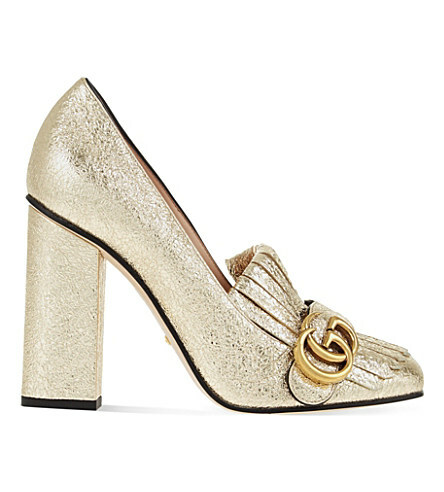 Sadly, I can only dream of the Gucci’s, and in fact, although the Daniel’s are top of my wishlist and have an altogether much more palatable price tag when compared to the Gucci’s, I couldn’t help but think back to my Pre-puppy pootle around Bournemouth and the lovely silver laminated block mid-heels I’d seen in Zara a few weeks ago, which cost a fraction of the Daniel pumps… so thought I’d take a look and see that else is out there? 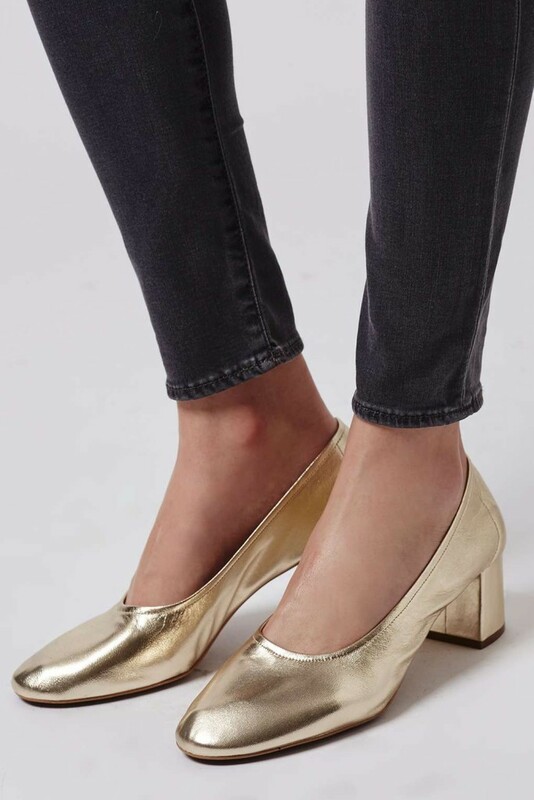 About 5 years ago now, not that long after I moved to my small town, I went to a drinks party and was mesmerised by a beautiful pair of deep red ballet pumps with a small block heel worn with a straight cut jean with a big turn up and simple shirt by a lovely french lady. 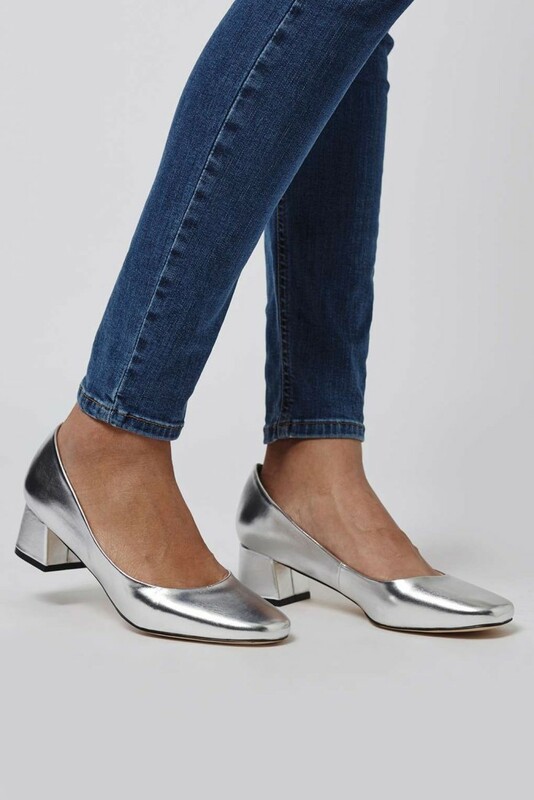 I felt envious of her effortless cool and jealous of her shoes because of the small block heel which would be perfect for my old granny’s knee… I searched high and low over the the past 5 years and although there was the odd offering here and there, none were really ‘doing it’ for me. My granny-knee came about from a fall I had when I was 19. The fall was a silly trip, resulting in me whacking my knee-cap dead-on, onto a small metal pavement drain cover. The pain was instant and excruciating. I hobbled back to my room in halls of residence (yes, Uni days) and took a bunch of anti-inflammatories, but being a bit of a careless student, I didn’t seek any medical advice for over a year. As a direct result of that wretched fall, I have been plagued with knee issues ever since. What has this got to do with a block-mid-heel? Well, I can’t really wear high-heels at all. I have worn them to events, but generally only for a couple of hours. 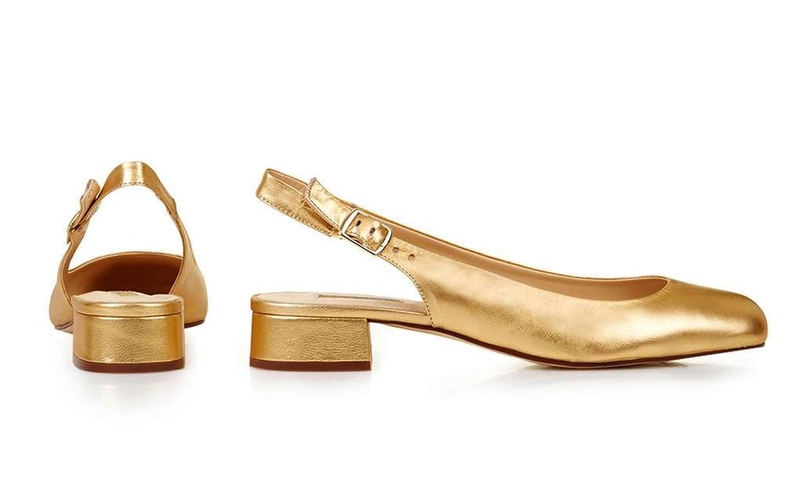 If I think “sod you knee” and wear high-heels for an entire evening, my knee will give me grief for the whole of the following week… so if I were to wear a pair of high heels for say, an all day & night wedding… well, you can just imagine. I’ve learnt the hard way – wearing high-heels is just not worth it! 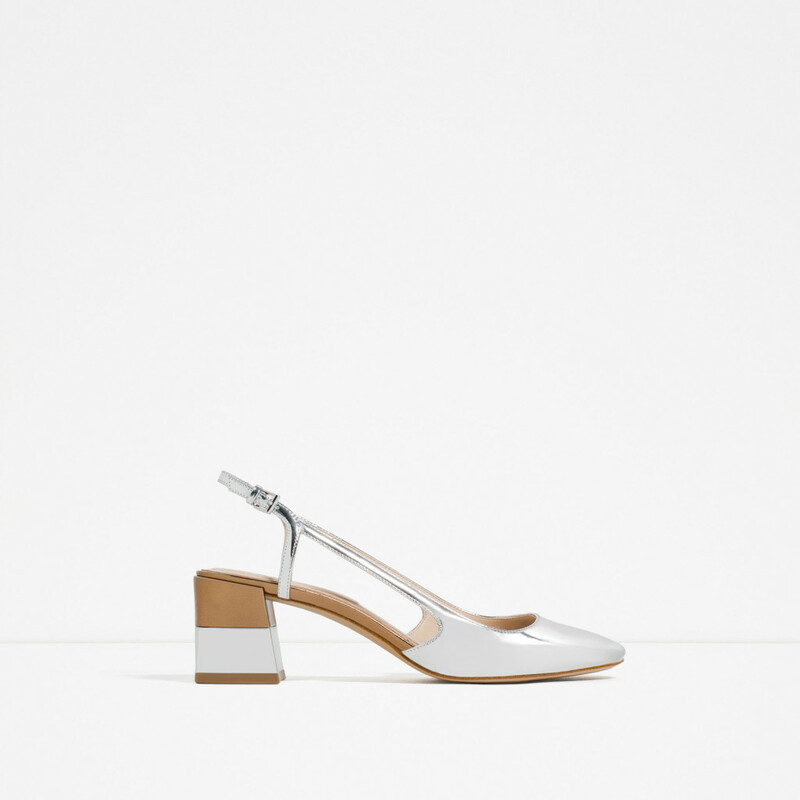 Neither of the Zara shoes are made of leather, which means that they probably aren’t the best fit for anyone who is in-between sizes as there won’t be any give in them. I don’t do ankle straps, so these two are out for me, however… I wanted to include a variety as these may be right for you? 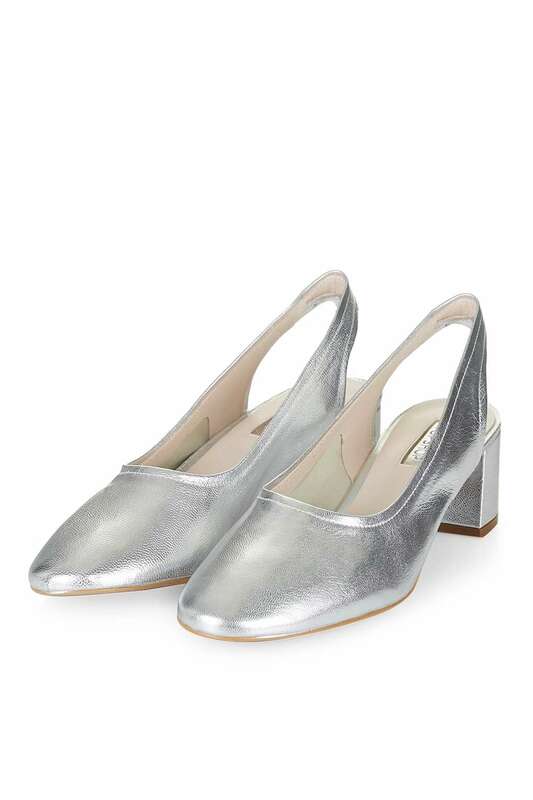 I prefer the pointed toe of the Java slingback here though they are a little too fussy (for me) with all the buckles, plus the Jenna slingback may be categorised as a mid-heel but my knee is telling me its too high just from looking at the picture! 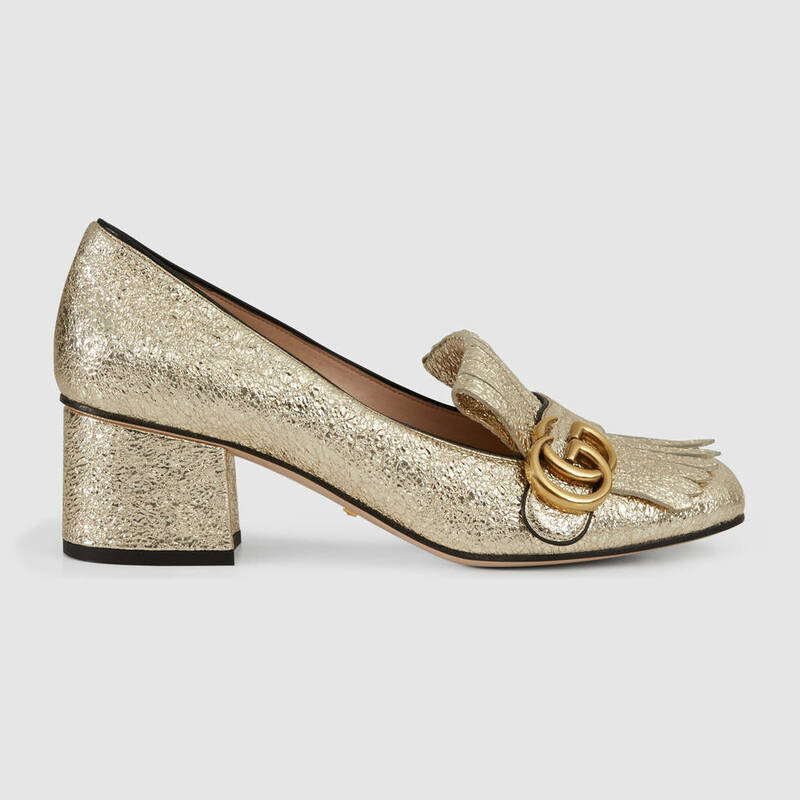 Simple, and so very gold, a very small heel… I LOVE these. More importantly, my knee loves the look of them too! 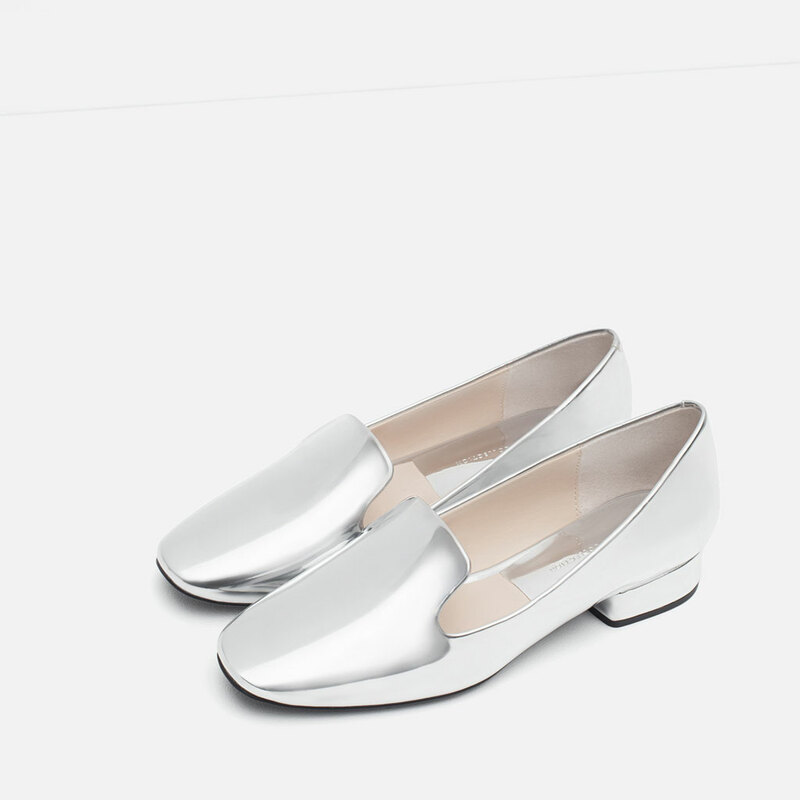 I think I’d definitely be buying a pair of these loafers if I worked in an office. 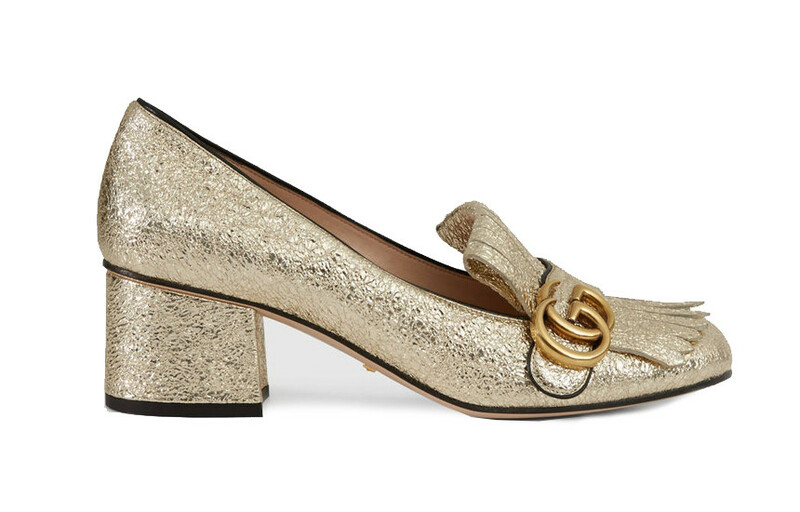 They are very Gucci-esque and again so reasonably priced. 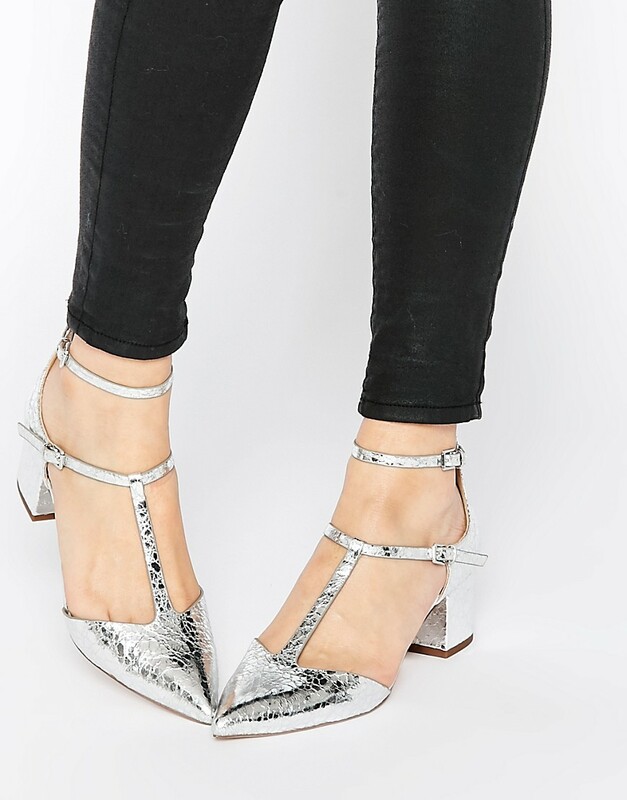 Topshop also have more metallic options in other styles of heels /shoe style if you fancy taking a peek here, but I’m sticking to my obsession (block mid heels) for this post! 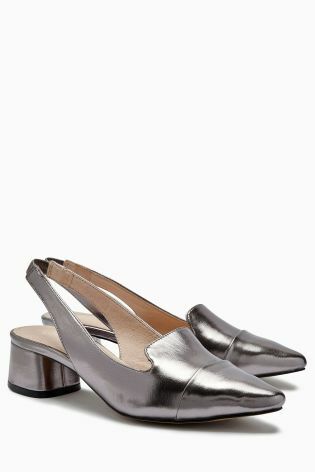 If only they were a shoe & not a slingback: there really is no pleasing me, is there?! 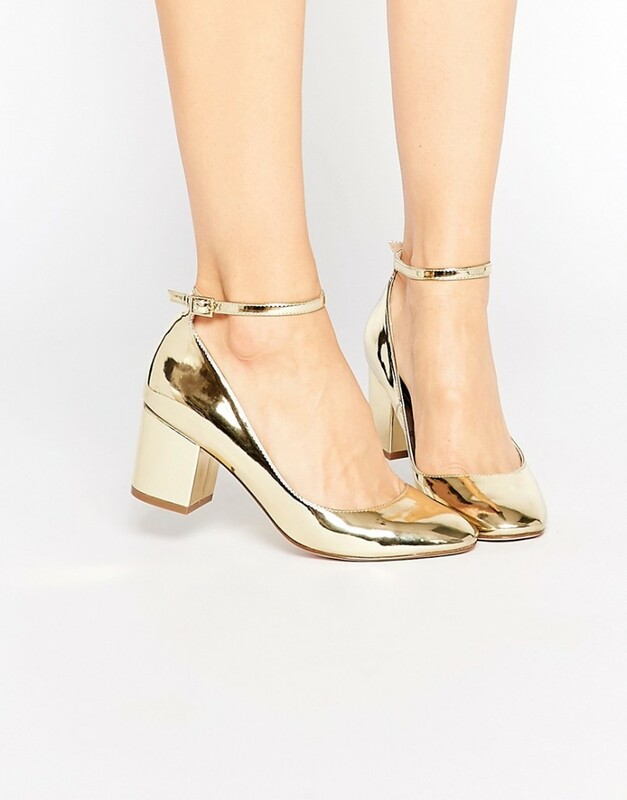 I think I’m trying to show you that I have tried, really I have, to try and find something as gorgeous and perfect as the gold Daniel Footwear pumps but that nothing else is coming close right now. eek! 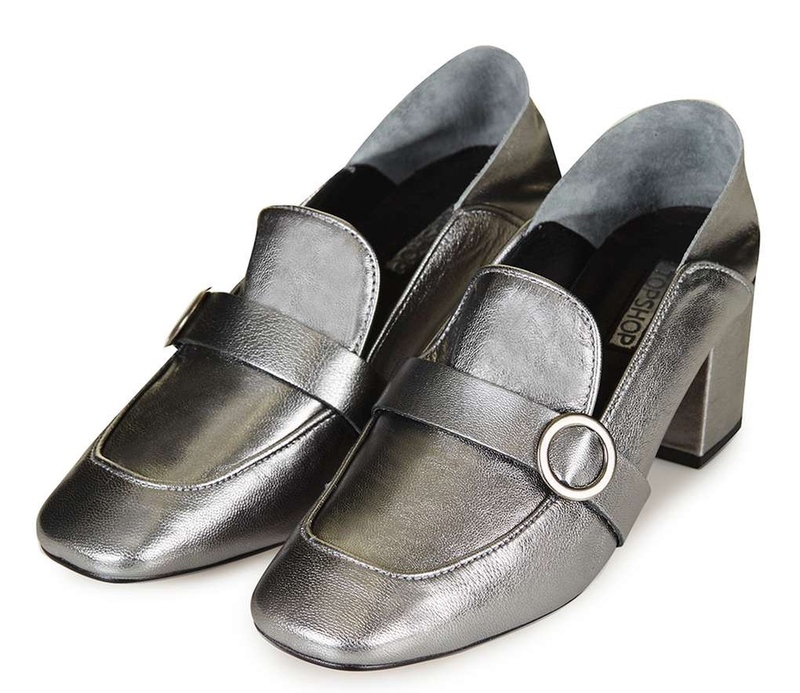 I’m IN on the Granny Shoe Thing! 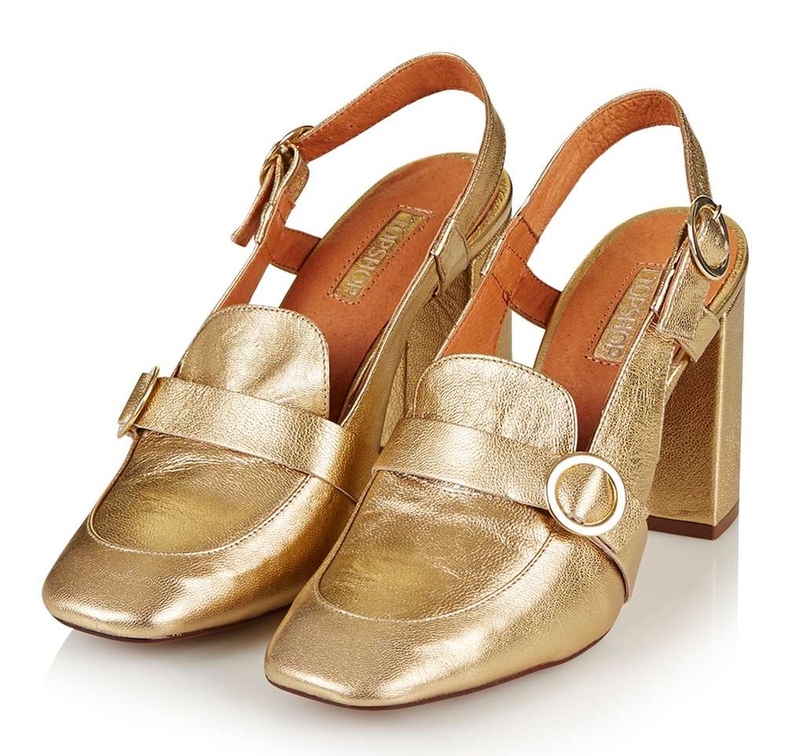 I just bought the gold Gina sling backs from Topshop; I adore them. I almost prefer them to the Gucci ones because I’ve seen the Guccis so many times (instagrams, ads, magazine editorials) that I’m almost bored of them now.